UkraineInvest has issued 2018 1st Quarter Report that draws a line under the previous year marked with success in unlocking new investments in Ukraine and improving the investment climate. The report shows that year of 2018 seems to be promising and is already paying off. During the 1st quarter of the year, UkraineInvest facilitated the signing of the agreement between General Electric and the Ukrainian State Railway on delivering 200 diesel locomotives. The value of the agreement is $1 billion. The team of UkraineInvest keeps working on providing additional added value and jobs to the Ukrainian economy. The Office set an objective for 2018: to assist the government to achieve 5-7% economic growth by 2020. 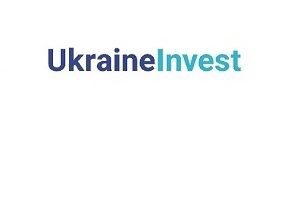 UkraineInvest uses the Government’s Medium-Term Priority Action Plan to 2020 as a guidance of its activities. Priorities of the Office for 2018 include rendering support for the Government’s plans in the areas of privatization and efficient management of state-owned enterprises, improvement of the business environment, modernization of infrastructure, energy sector reform, land sector reform and support of farming, innovations development, fight against corruption, strengthening the rule of law.